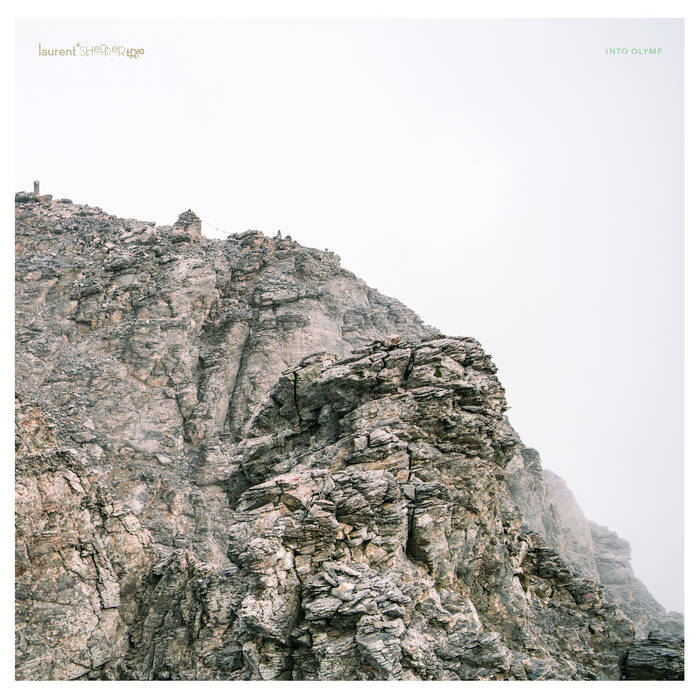 After their furious debut “Aquanaut”, Leipzig’s LAURENT DE SCHEPPER TRIO release a mature follow up that sees the genre-blending jazz / indie formation heading for new peaks. 4 years have been passing since the LAURENT DE SCHEPPER TRIO (who actually became a quartet in the meantime) unleashed their highly praised debut album “Aquanaut”: “great band” (De:Bug), “worth listening and important” (Wolf Kampmann / Eclipsed) or „stunning magnificence!“ (Subjectivisten) were some of the opinions on the Leipzig-based formation whose sound blends fluidly the progressive now-jazz of NILS PETTER MOLVAER, TALK TALK’s ethereal art-pop and the structural freedom of SONIC YOUTH. “Into Olymp” – the title as well as the artwork document an extended band trip to Greece in october 2015 – again turns out a corybantic stylistic balancing act, a brilliant symbiosis of jazz and indie, mature serenity and vital dynamics, sublime finesse and high energy. Complex arrangements, propelled by bass (ISABEL FISCHER) and drums (LARS OERTEL), are the backbone for the multi-faceted guitar play of new member RENE PALFFY and THOMAS BÄR’s effect-modified saxophone. A truly monumental effort, recorded at Ballroom Studios / Dresden, produced by JOHANNES GERSTENGARBE and soundwise refined by REUBEN COHEN / LURSSEN MASTERING (CAT POWER, GEORGE HARRISON, IGGY POP, ELVIS COSTELLO, QUEENS OF THE STONE AGE) in Burbank, California. Vinyl cut by RASHAD BECKER at D&M, Berlin. KR058: V.A. – Karl Marx’s 200th ! Karlrecords | Powered by Mantra & WordPress.